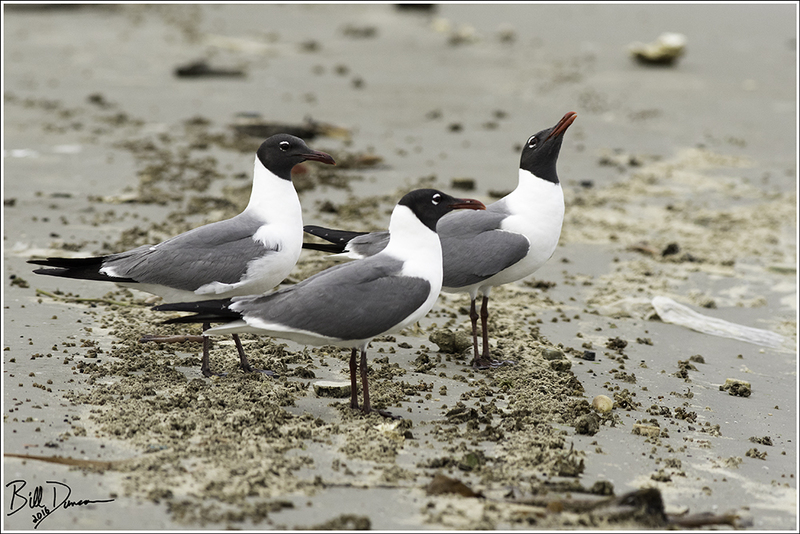 When traveling to a new location it is always interesting to see what gull species is the local equivalent to our Ring-billed Gull. 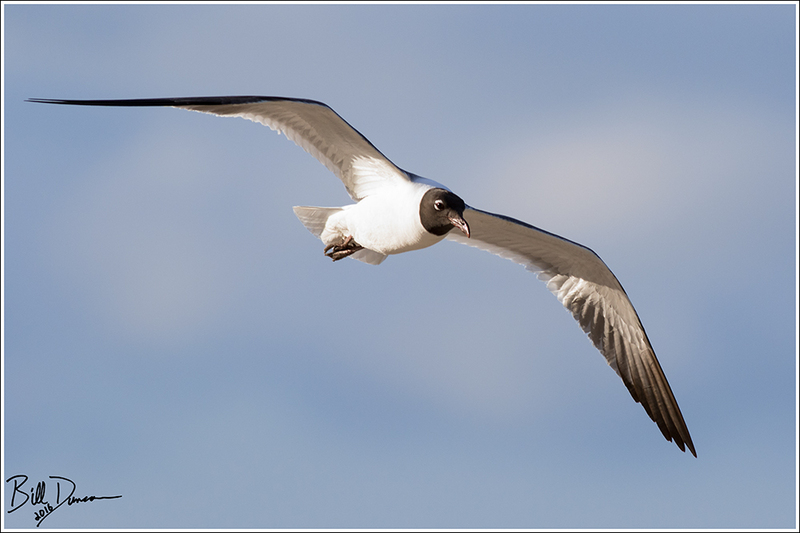 In the case of the Texas gulf coast, that is definitely the Laughing Gull. We found that a really great place to see hundreds at great distance is the ferry ride between the Bolivar Peninsula and Galveston. Be sure to check the water as well as the skies if you take this 20 minute boat ride. Steve and I were able to spot a bottlenose dolphin or two during the crossing. After hearing their vocalizations for quite a long period, we can say this species is quite aptly named! 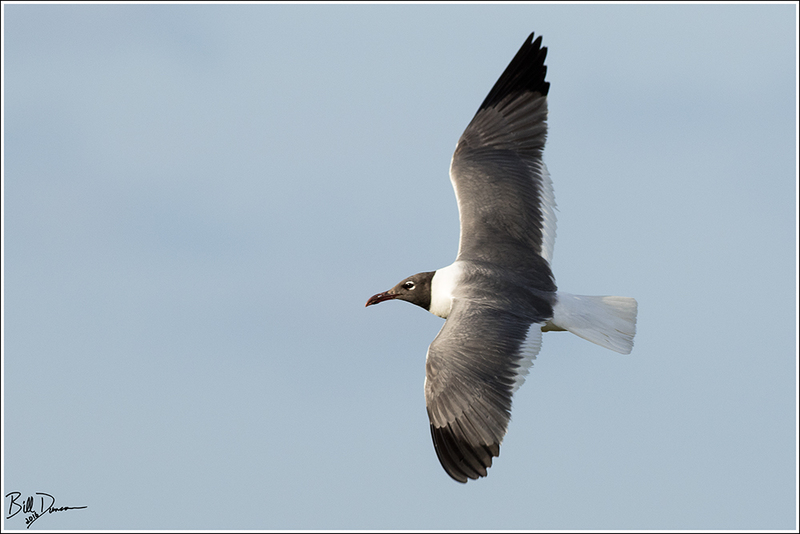 In summer plumage, this is obviously one of the easier gulls to identify. 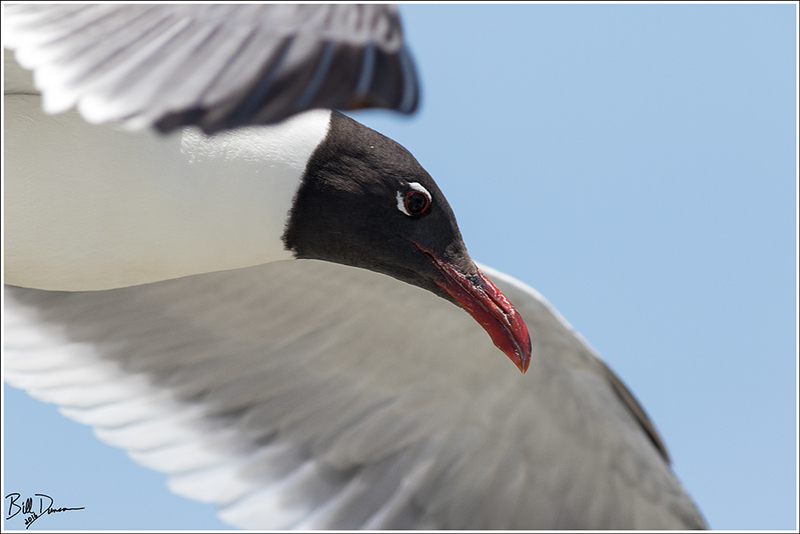 Largest of the hooded gulls, with red bill, legs and feet, slate-colored back and black primaries. Nice to watch them. Thanks for this great post.